Highfields School is a small independent school for girls and boys aged 2-11 years. Set within 14 acres of natural parkland just two minutes from the centre of Newark, Highfields provides an idyllic learning environment for Early Years up to preparation for senior school. Highfields has an excellent academic record and offers an enhanced curriculum with specialist teachers for music and sport. Children enjoy a wide range of activities including outdoor learning, trips and residentials. There is a strong emphasis on traditional core values and pastoral care. LEW Electrical Distributors founded in 1993 has grown to become a leading independent electrical wholesaler. From humble beginnings with our first branch in Gainsborough Lincolnshire, we are now proud to offer our award winning customer service and comprehensive stock range to 11 nationwide branches. In addition our industry leading B2B mobile device based platform now offers our account customers 24/7 access to stock availability and ordering. Freedom are an independent company, operating in the Lincolnshire and Nottinghamshire and the surrounding area since 2007. At the heart of our business is a shared belief in quality- reliability- value with great customer care and service. We firmly believe that it is these qualities over time that has built up a trust and gained Freedom a reputation for reliability, honesty and integrity. Over the years we have built up a great reputation and trust with lots of happy local customers. Freedom understand our customers and work hard to provide a friendly, personal single source solution, providing the products and services required to protect businesses from fire, break-ins and theft. Our aim is quite simply to provide sensible advice, offer practical fire and security safety solutions and to help clients meet their legal fire safety requirements in the most efficient and effective way. Offering quality, cost effective solutions and pride ourselves on our great customer satisfaction. Freedom offer a wide range of services to suit all your fire safety and security safety needs, in one place. Our engineers are fully qualified to British Standards and are experts with years of experience in their field. Electricbase are one of the UK’s leading electrical wholesalers with 82 branches nationwide. 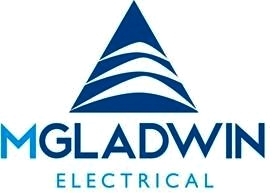 We supply electrical contractors and engineers, installers, facilities managers and commercial and industrial users with a wide range of electrical products from world-class manufacturers. We continually adapt to meet the needs of an ever changing marketplace, investing in an innovative, high quality and good value product range, particularly LED lighting. We have become a trusted partner to many of our customers by dealing honestly and providing outstanding choice, value and service. Our branches are managed by experienced and highly motivated teams, who are committed to providing an unrivalled service. They combine innovative forward thinking with old-fashioned straight-forward service, confidently assisting customers with any product enquiries. Electricbase is incorporated alongside many of our Buildbase and Plumbase branches, offering customers a one-stop-shop for all their electrical and building needs.